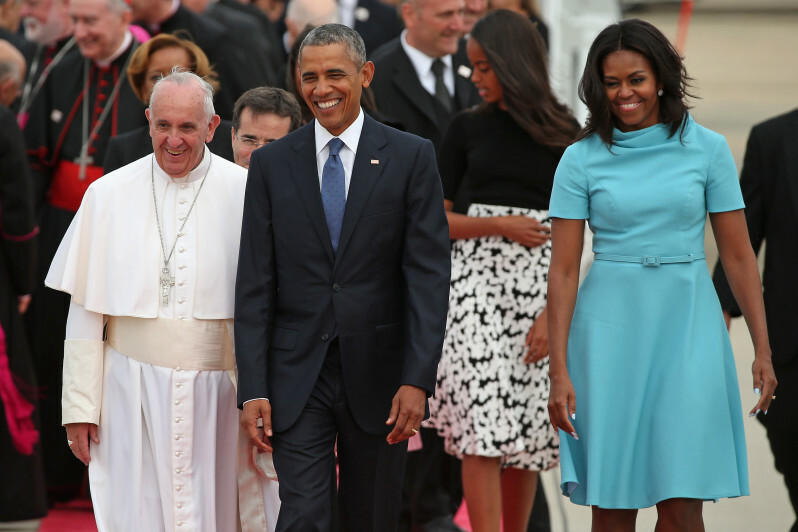 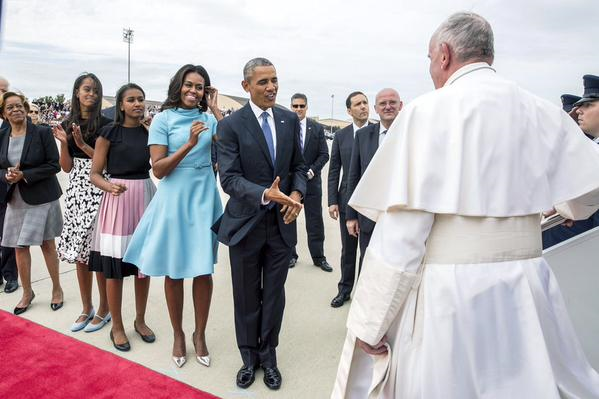 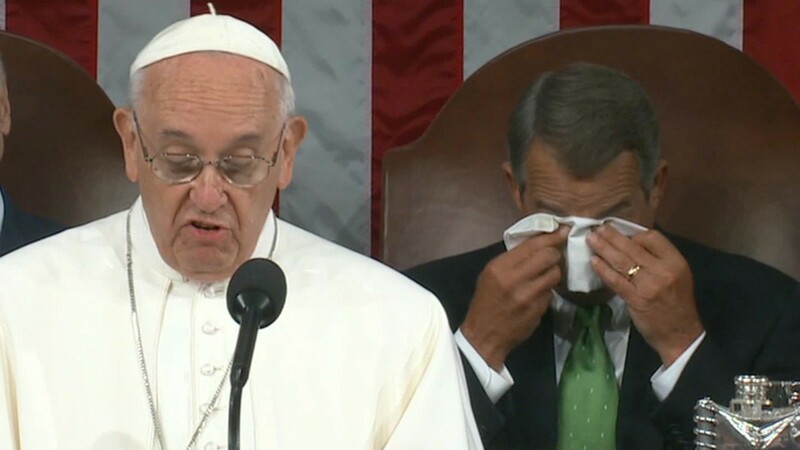 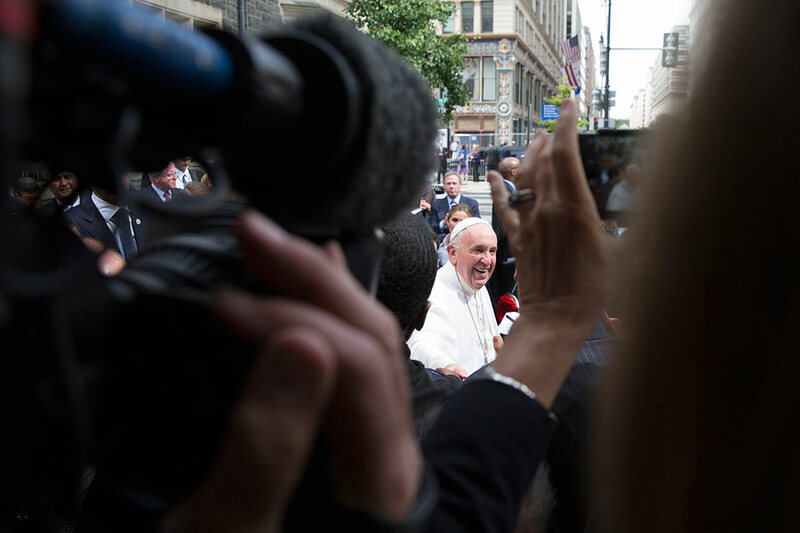 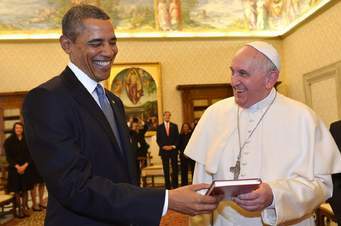 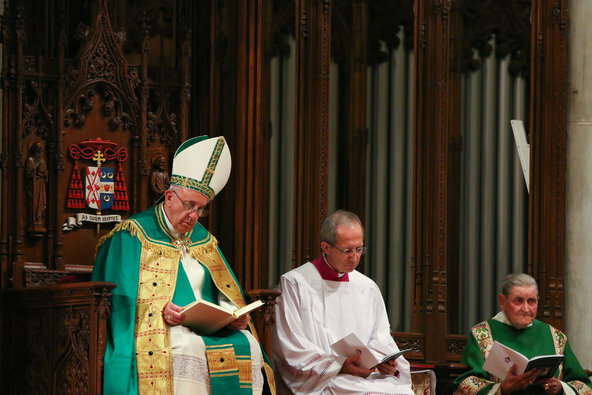 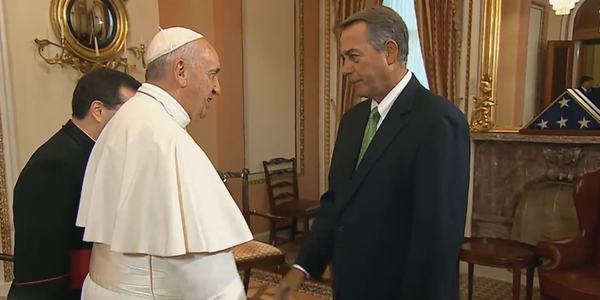 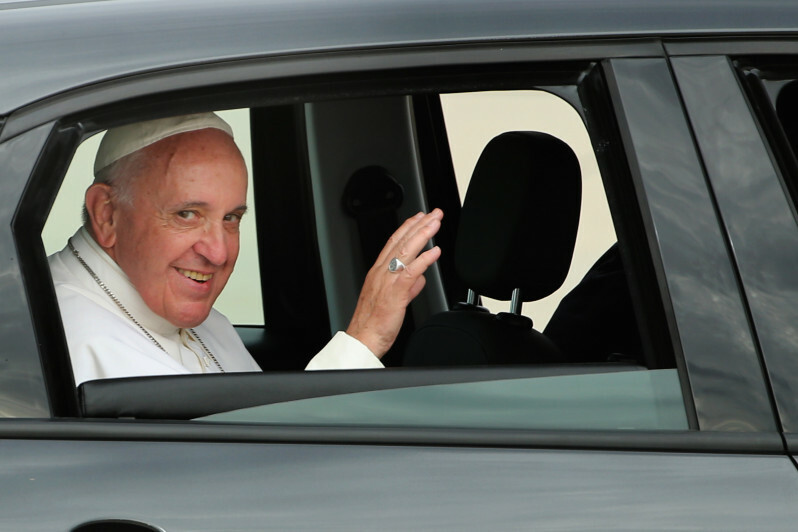 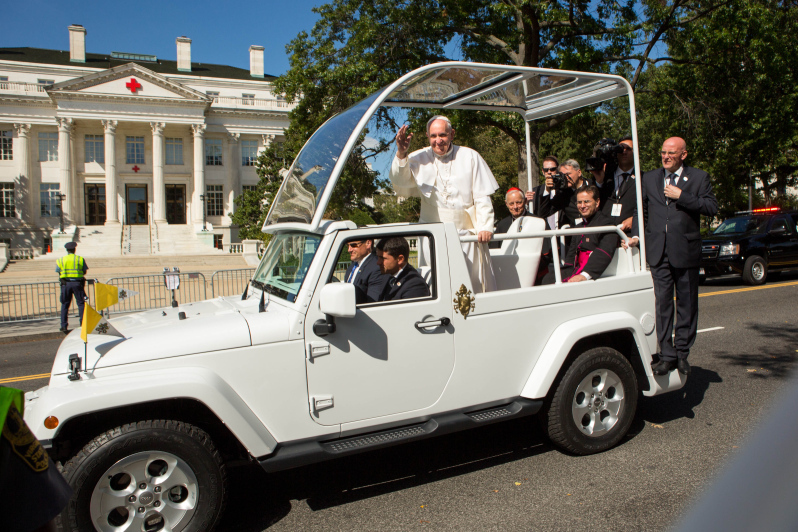 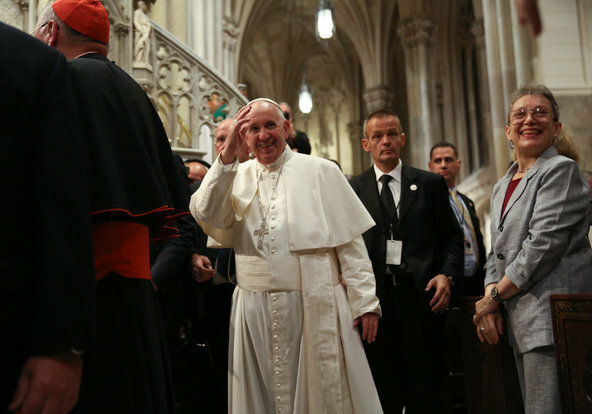 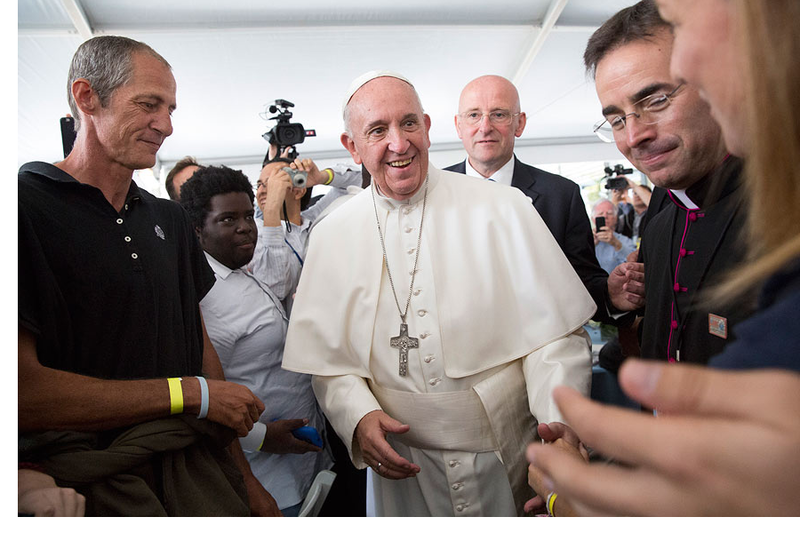 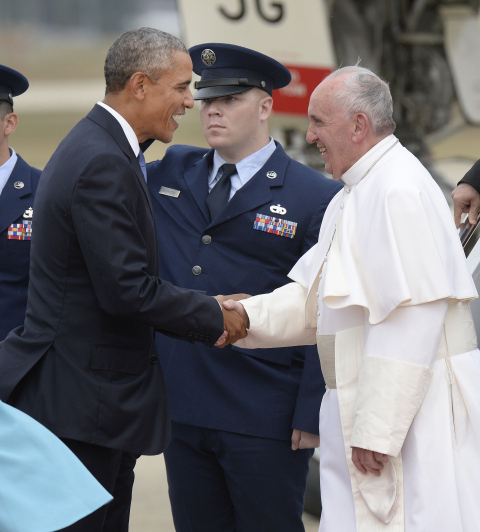 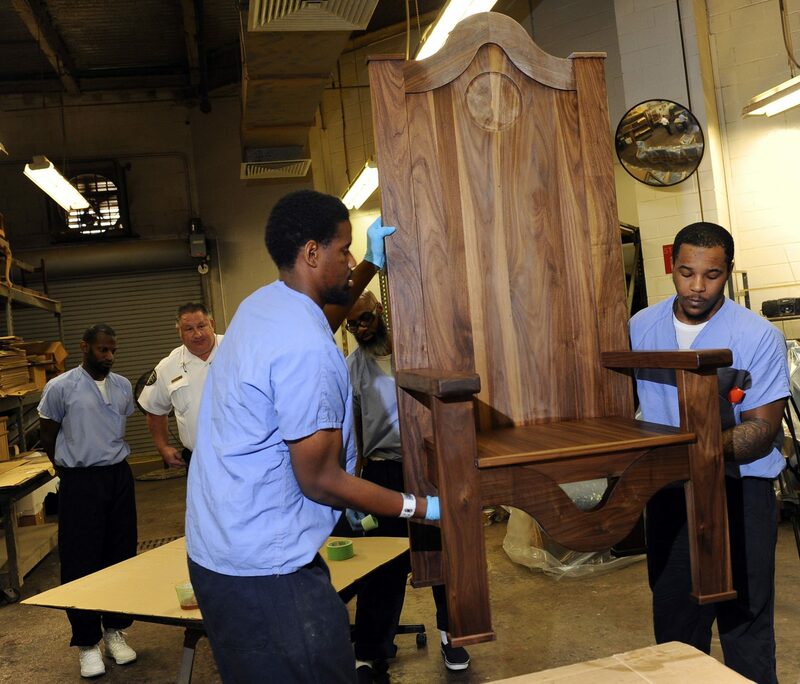 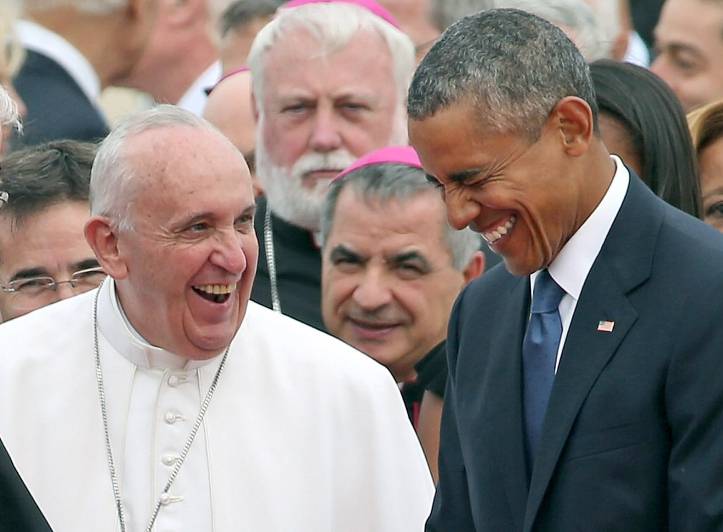 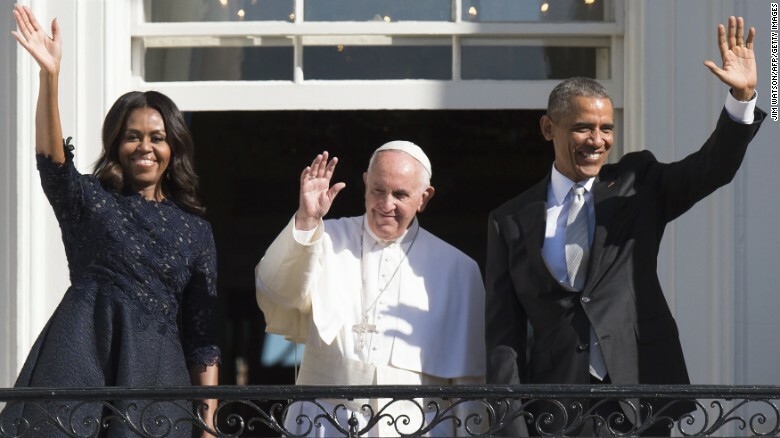 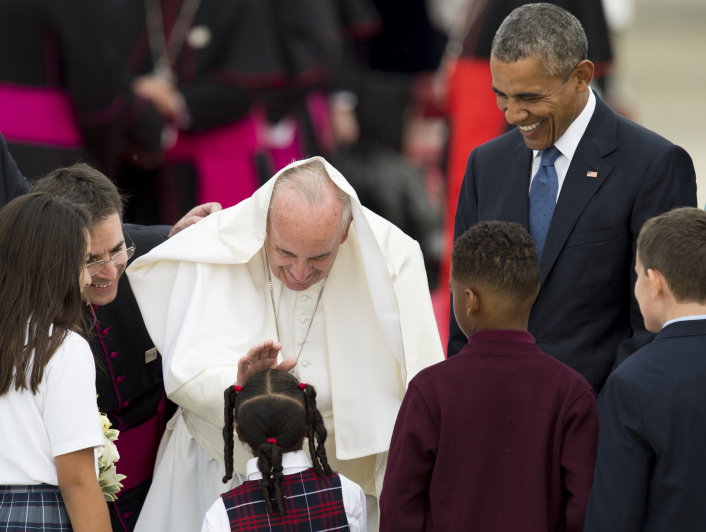 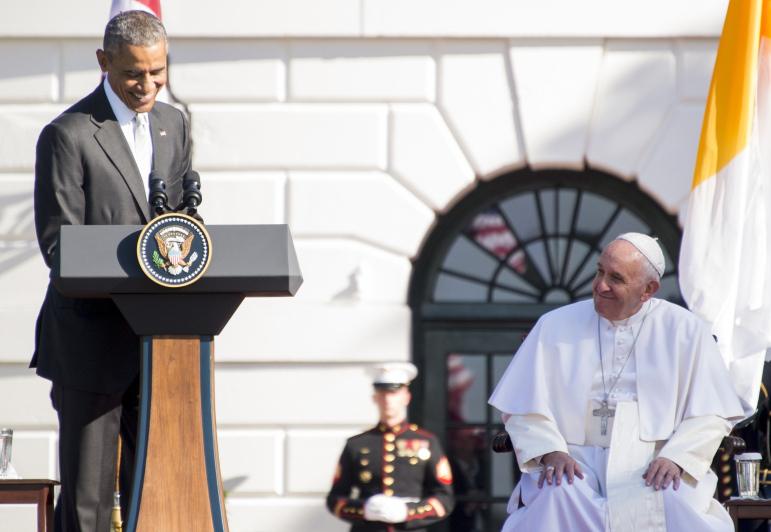 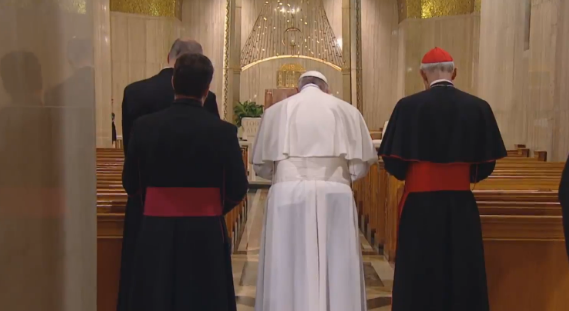 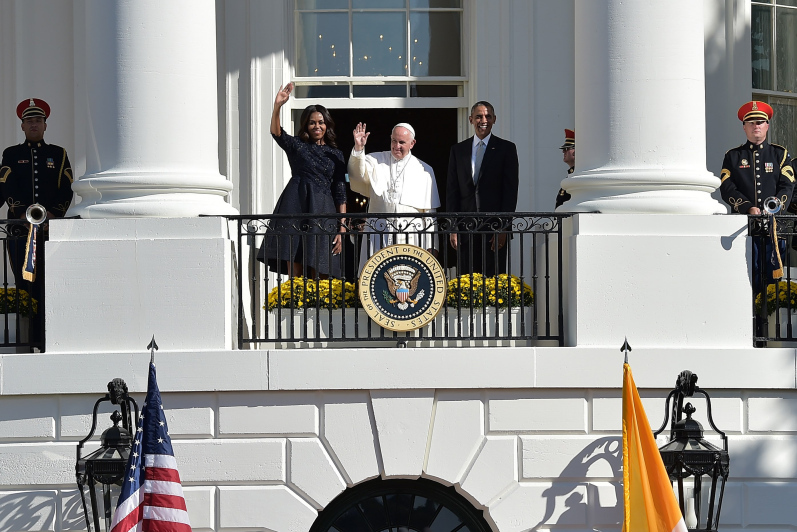 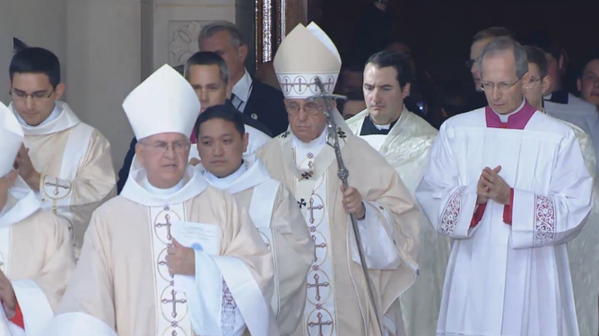 Pope Francis comes to America for the first time. 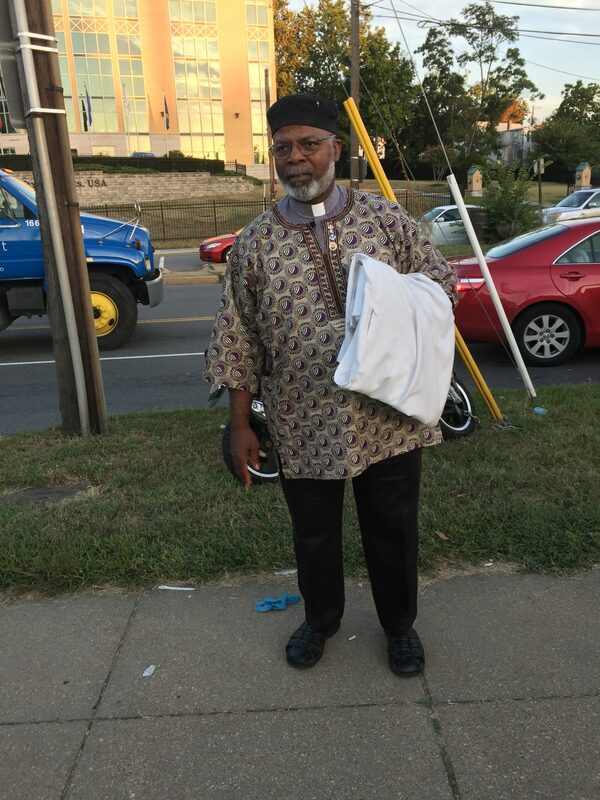 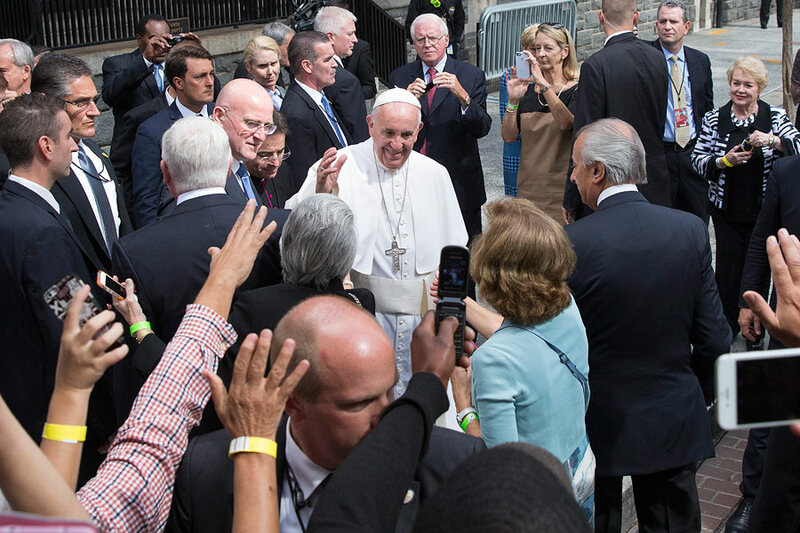 During his stay from September 22 – 27, 2015, he visited the Nation’s Capital – Washington, DC; New York City, NY; and, Philadelphia, PA. 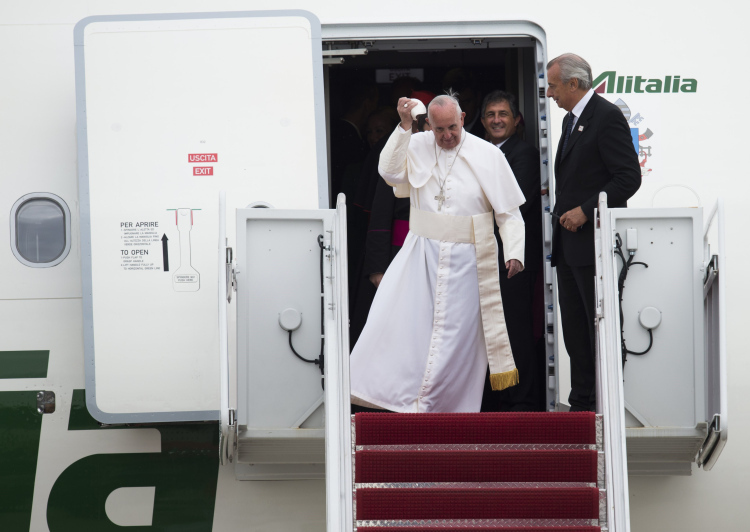 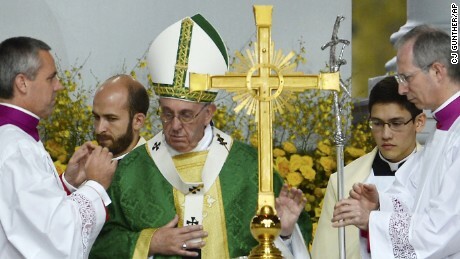 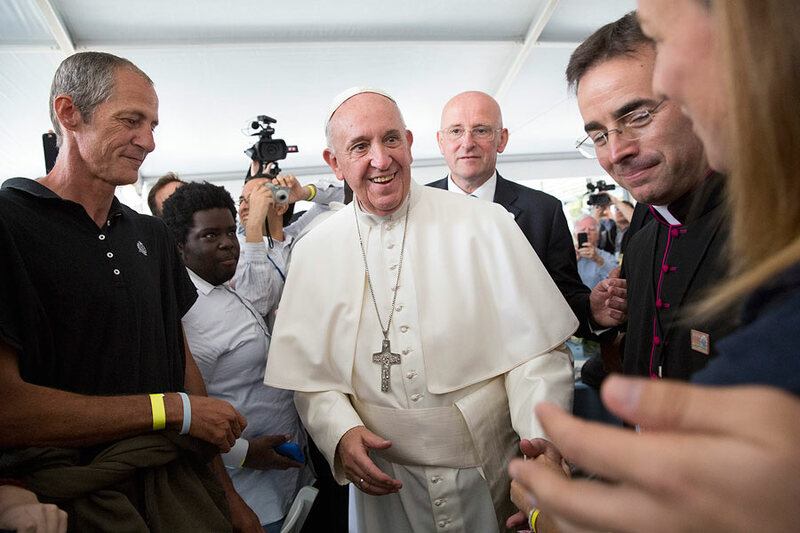 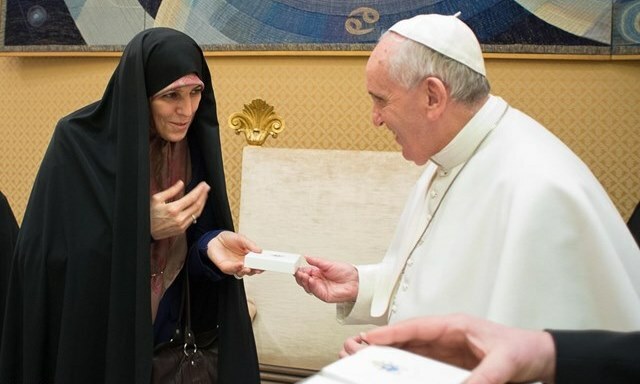 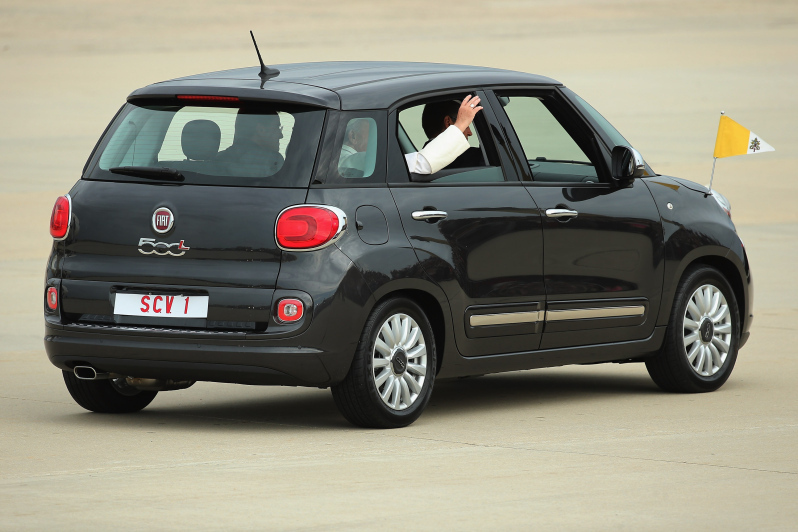 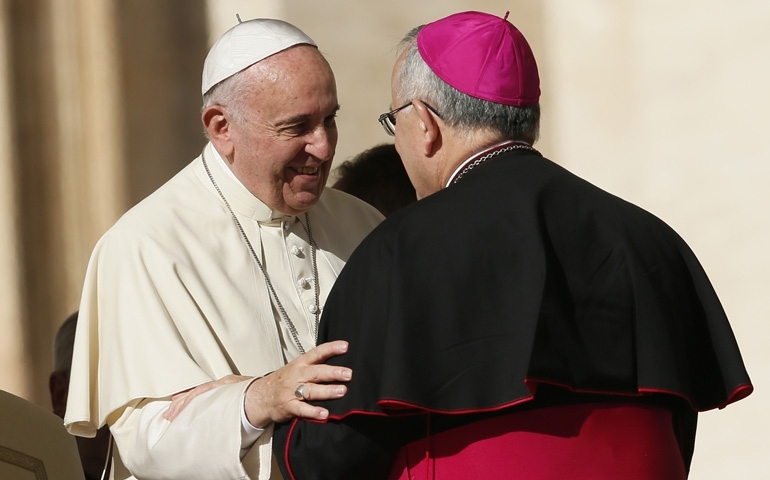 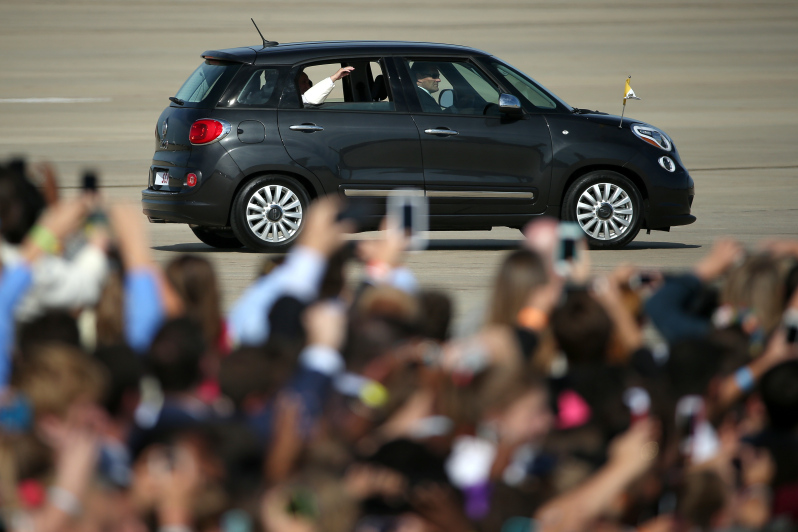 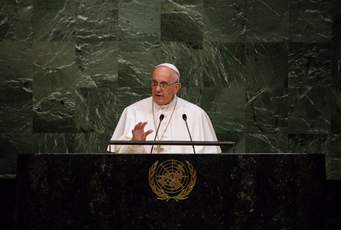 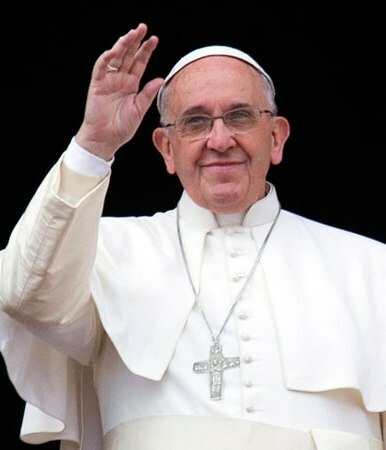 The Pope had a very hectic and tight schedule in all three cities. 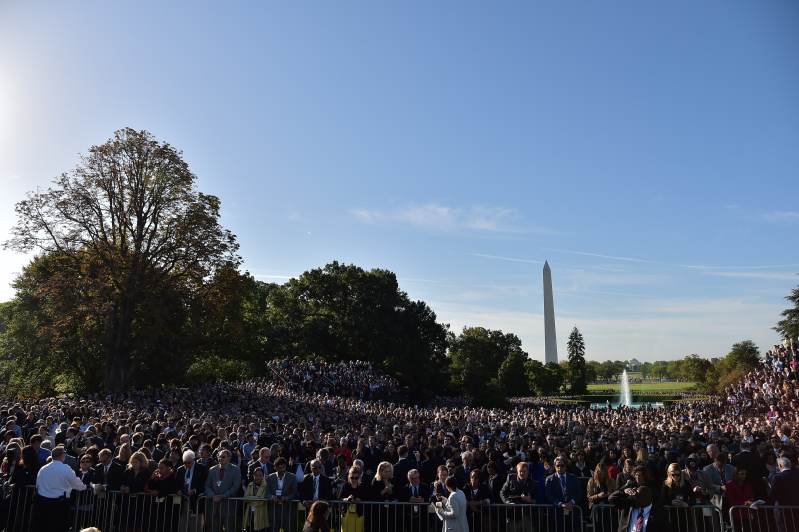 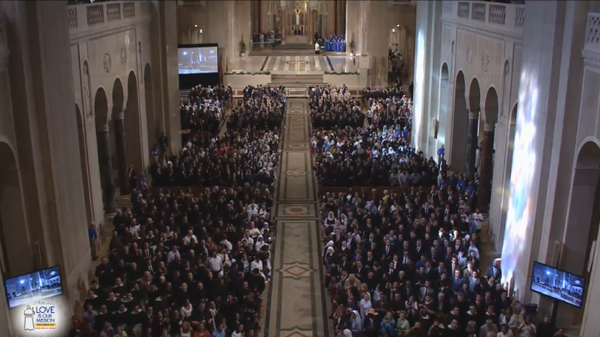 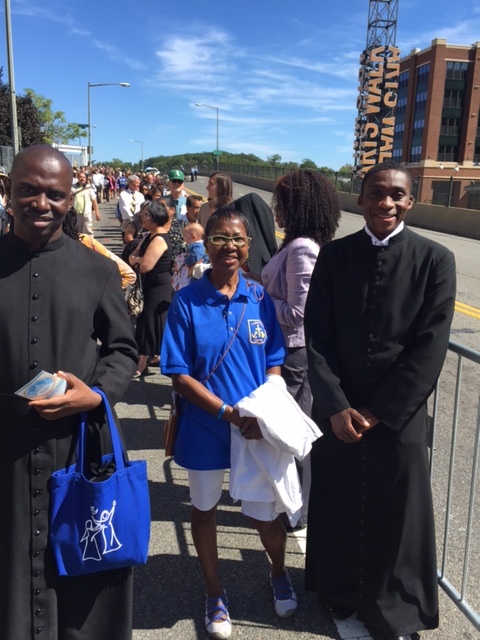 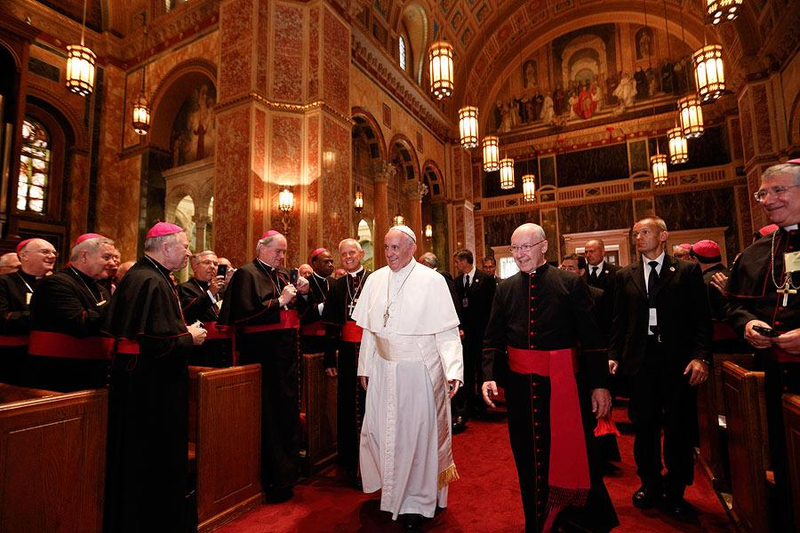 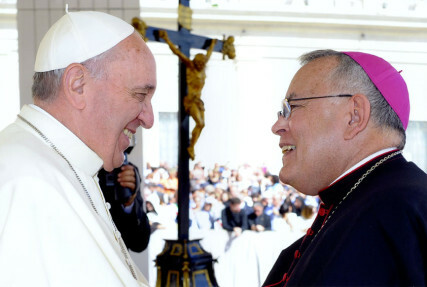 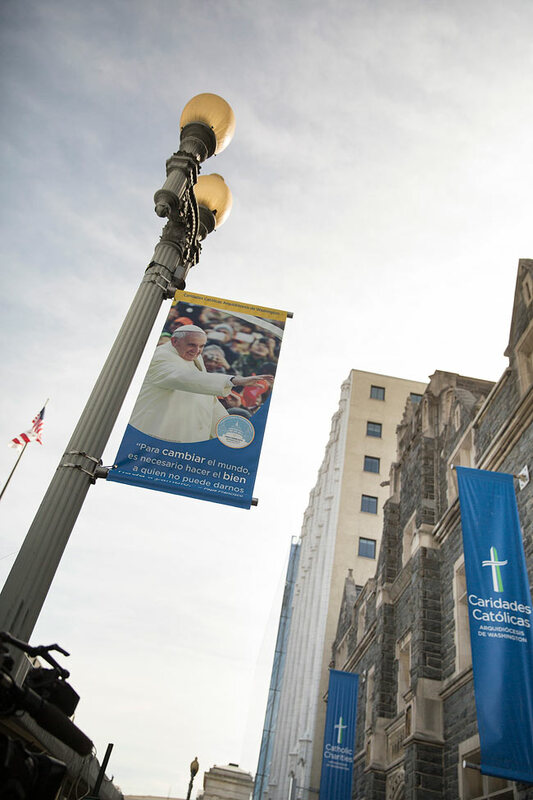 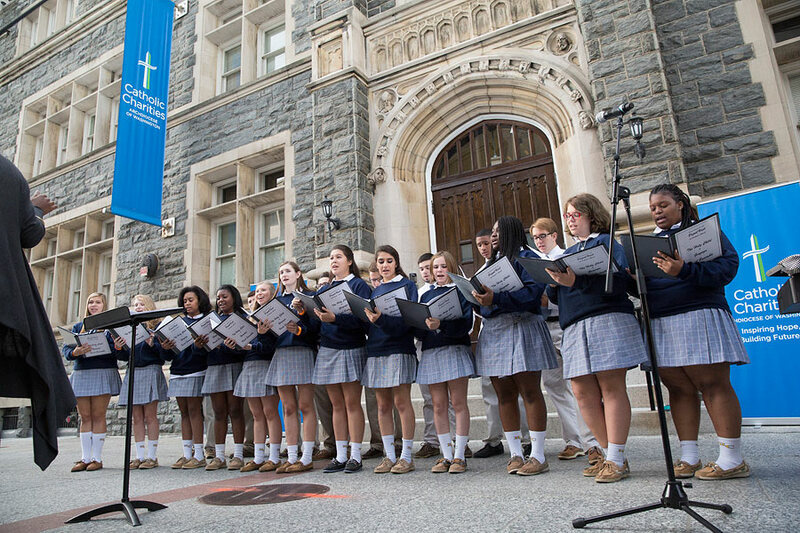 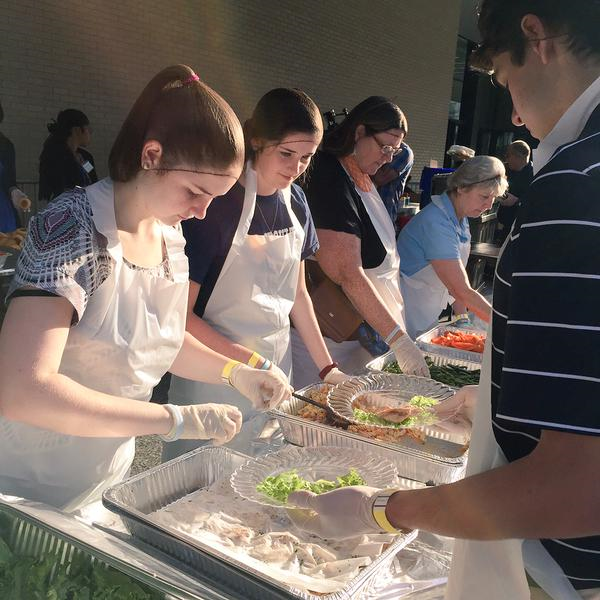 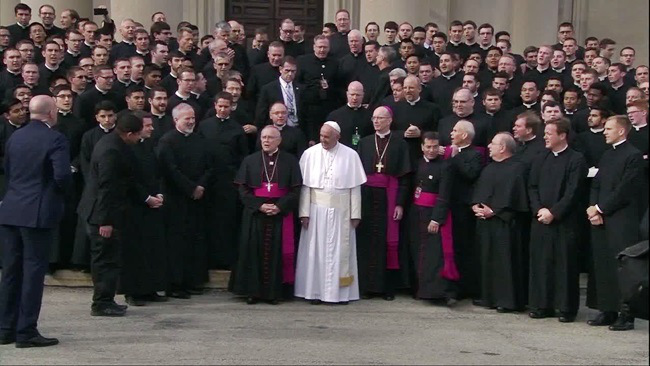 In Washington, DC, Pope Francis met with President Obama; addressed Congress; visited Catholic Charities who served meals provided by the St. Maria’s Meals Program to the homeless; visited the Little Sisters of the Poor; addressed the Bishops and other clergy; celebrated the canonization Mass for St. Junipero Serra at the Basilica of the National Shrine of the Immaculate Conception; and, took time to greet the school children at the Vatican Embassy who were present to greet him during his stay in the Nation’s Capital. 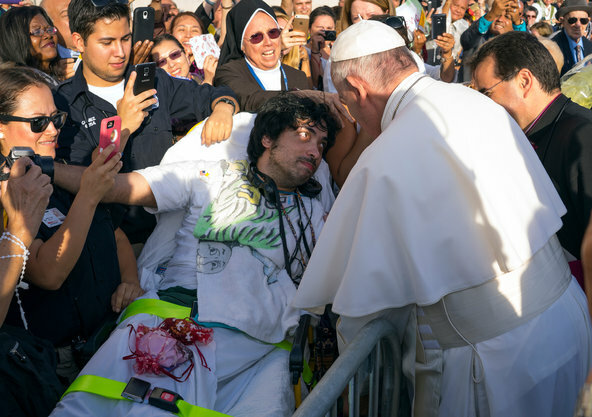 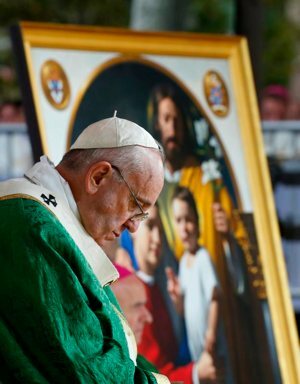 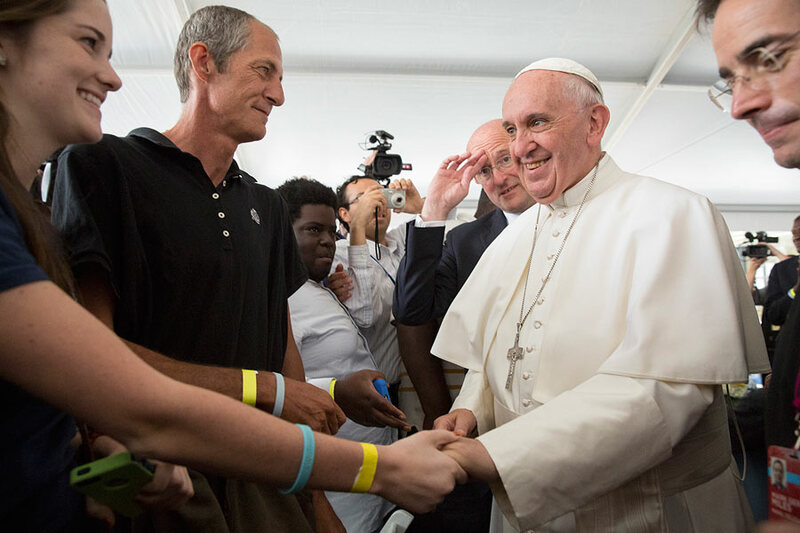 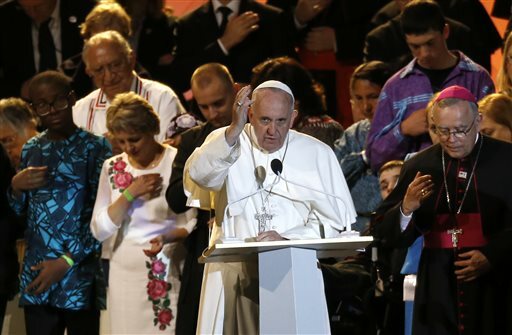 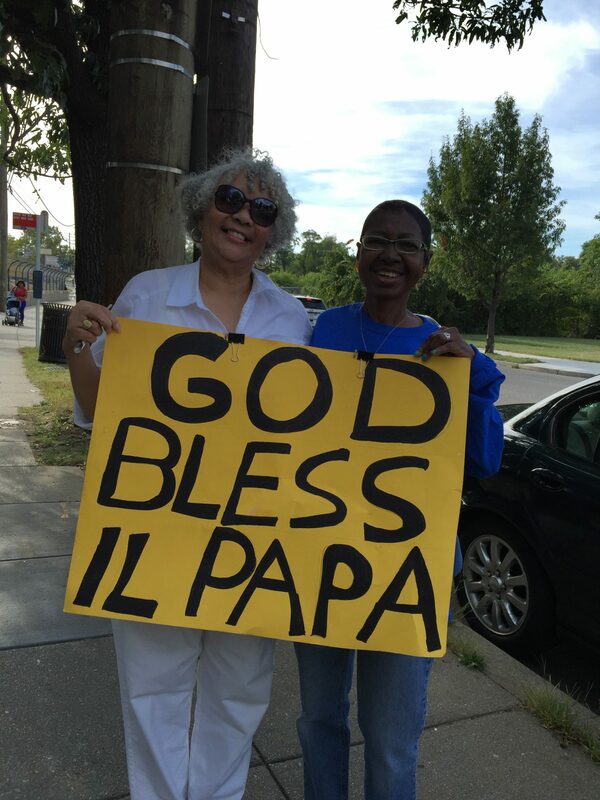 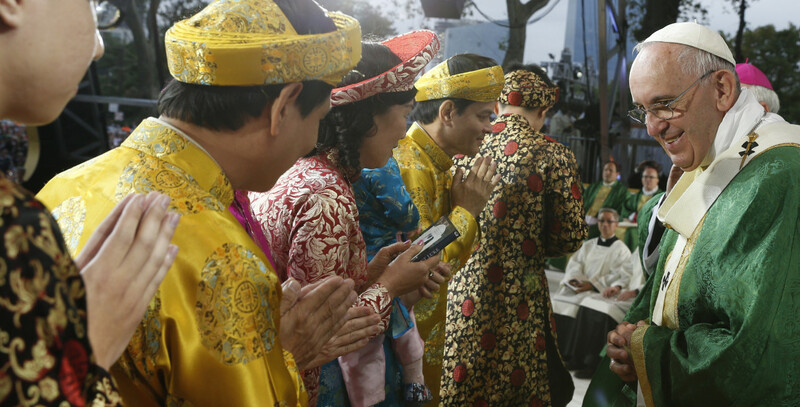 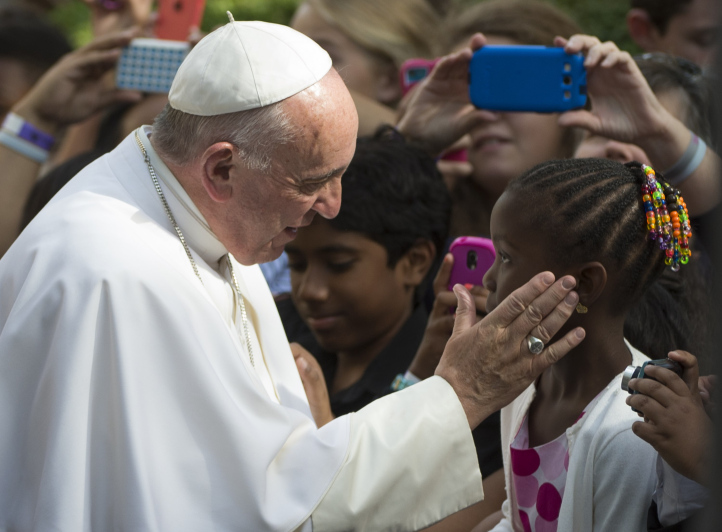 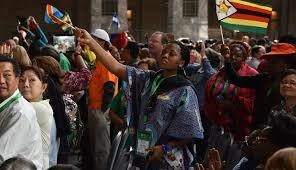 In addition, the Pope blessed the sick and children along the parade route. 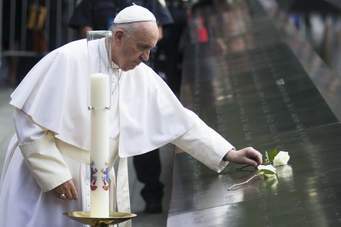 While in New York, Pope Francis visited the Ground Zero 9/11 Memorial and underground museum and celebrated Mass at St. Patrick’s Cathedral. 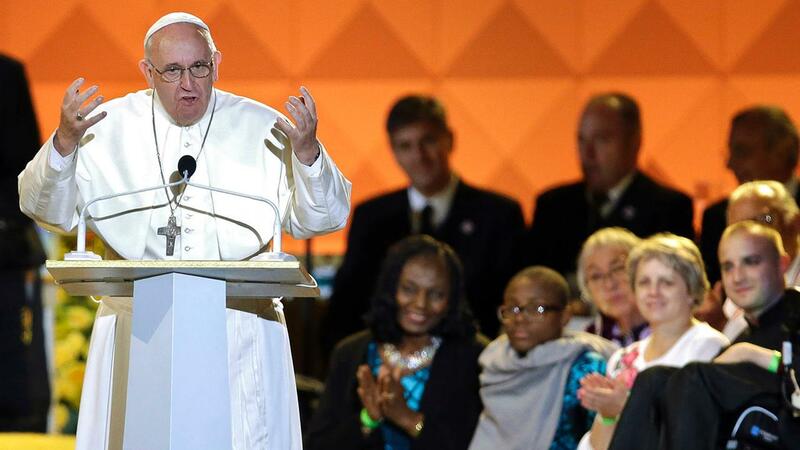 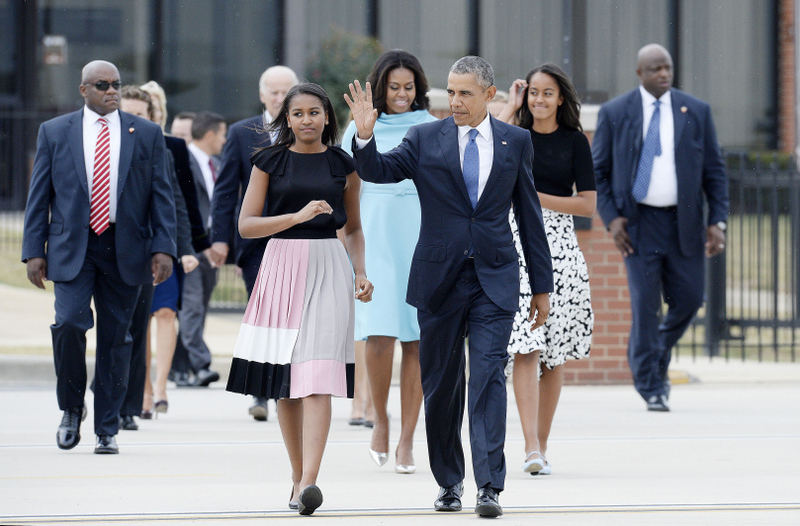 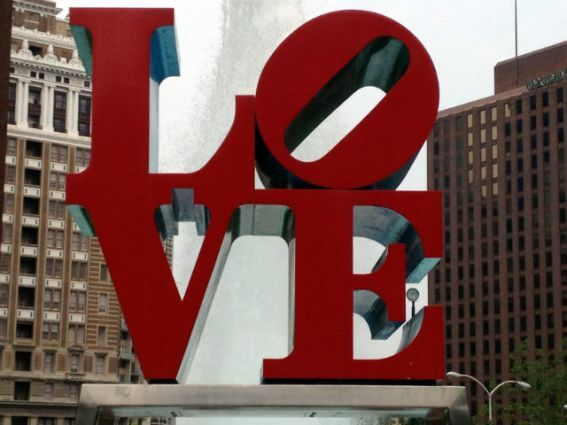 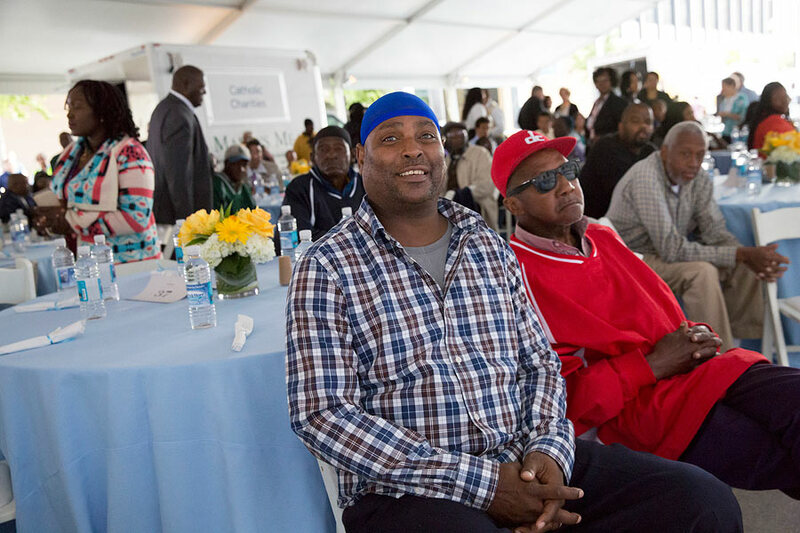 Finally, his visit in Philadelphia was to attend the World Meeting of Families. 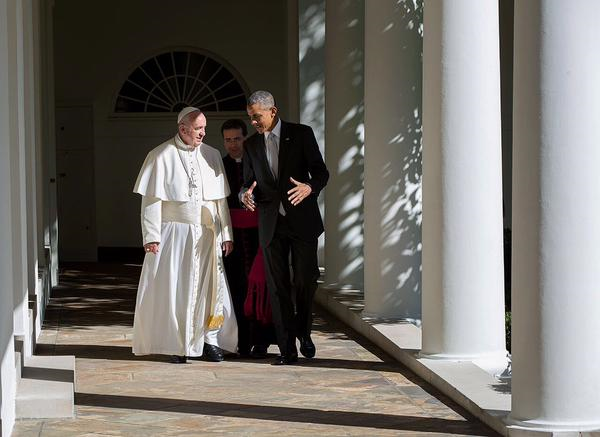 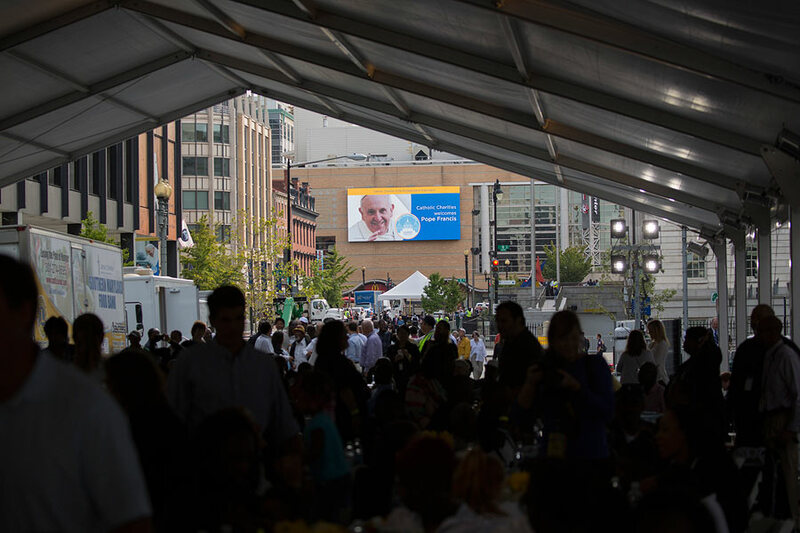 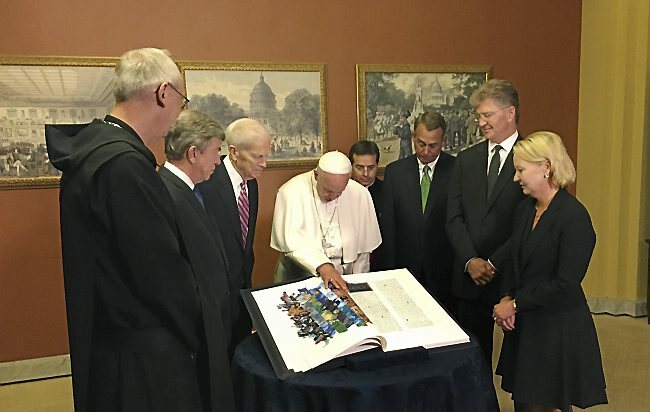 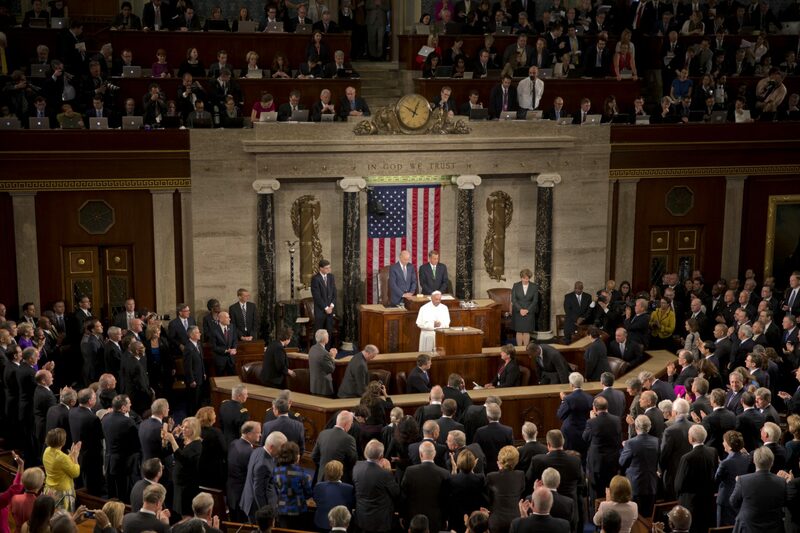 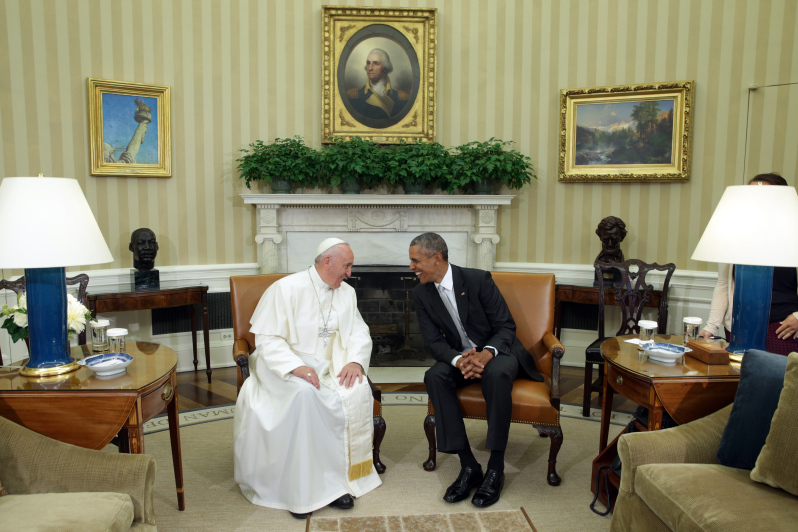 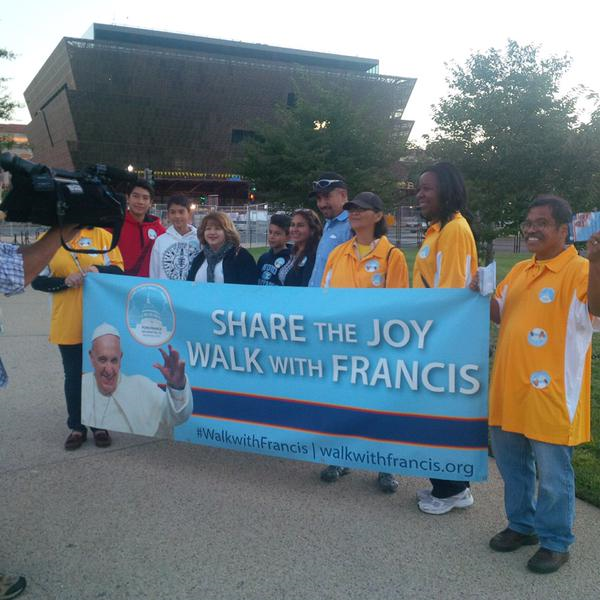 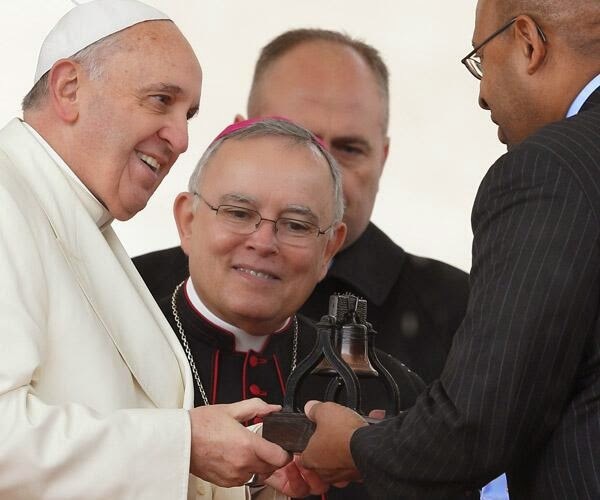 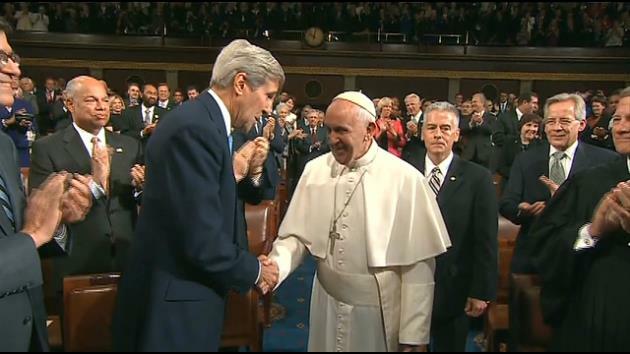 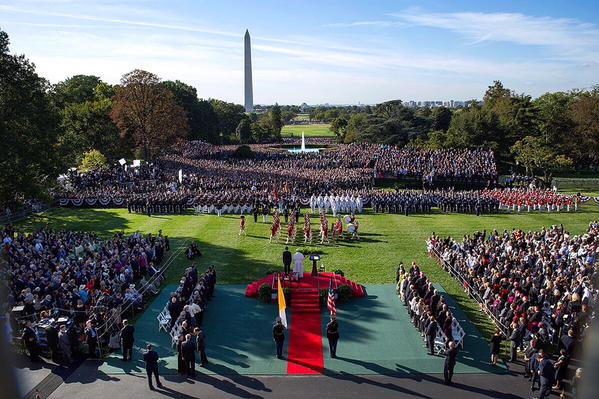 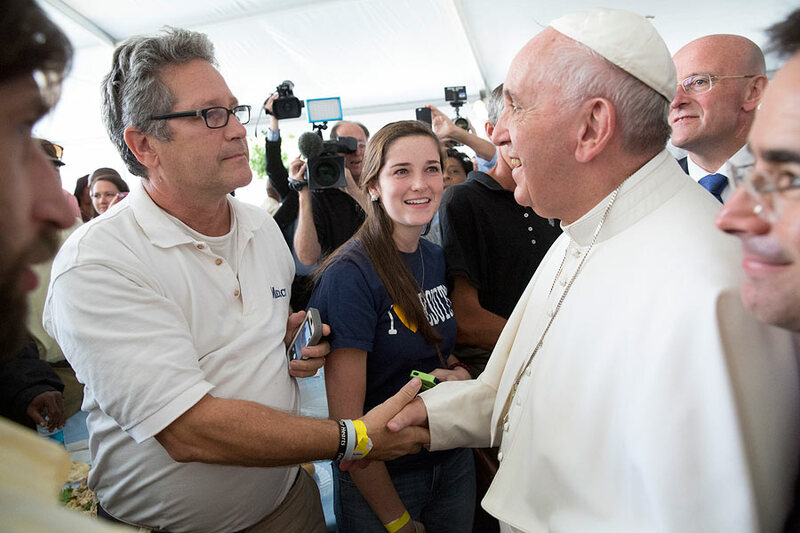 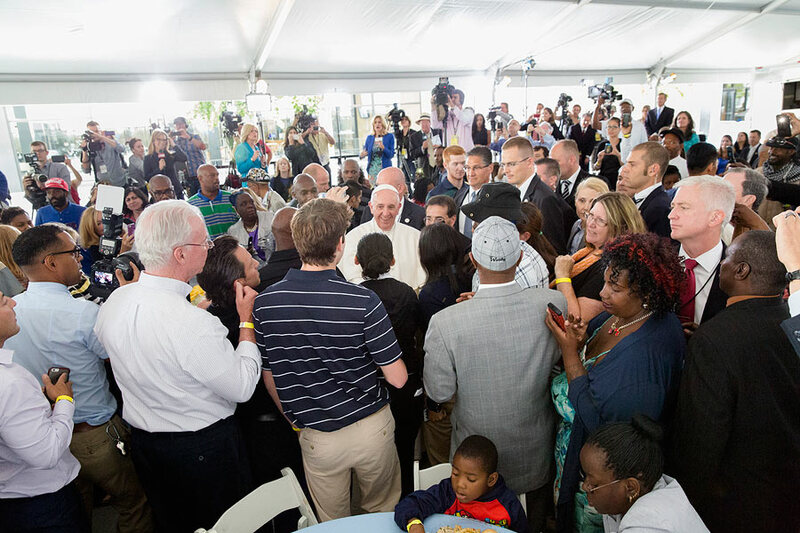 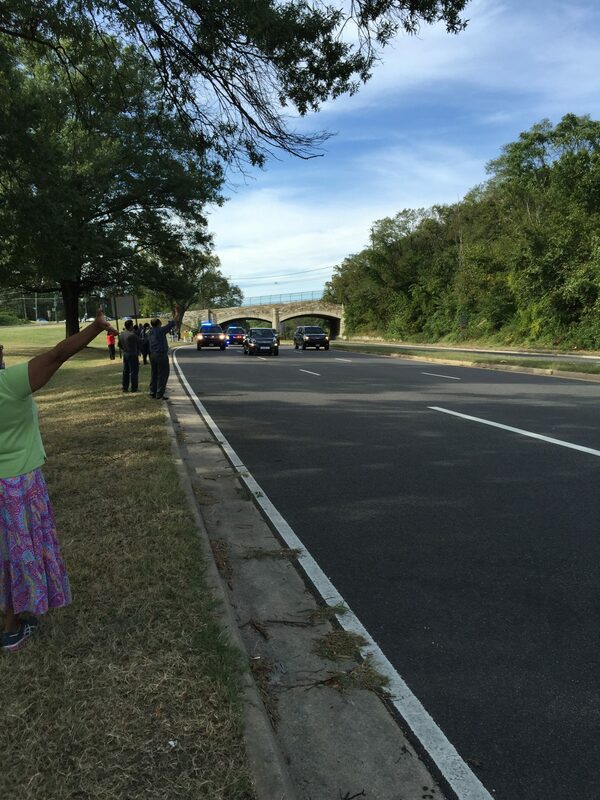 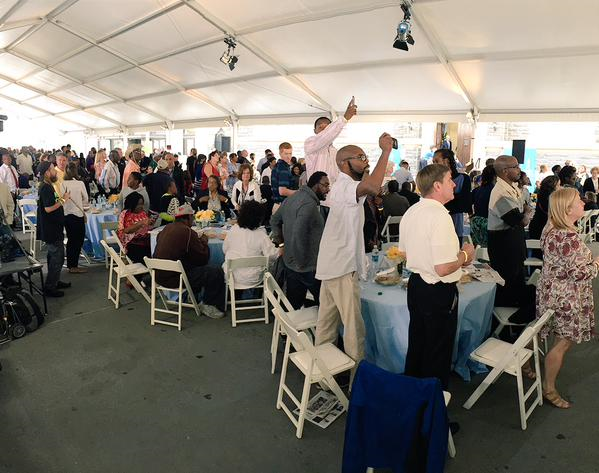 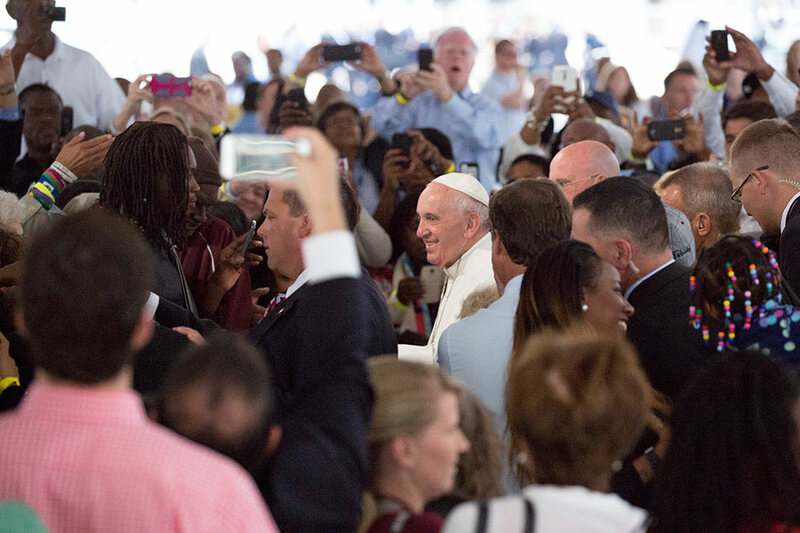 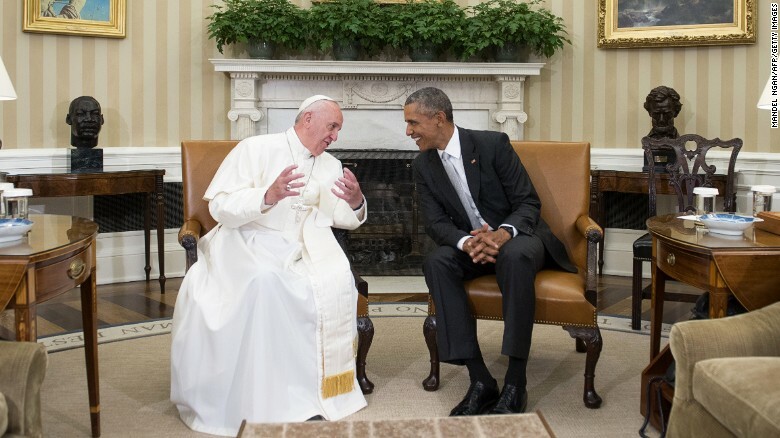 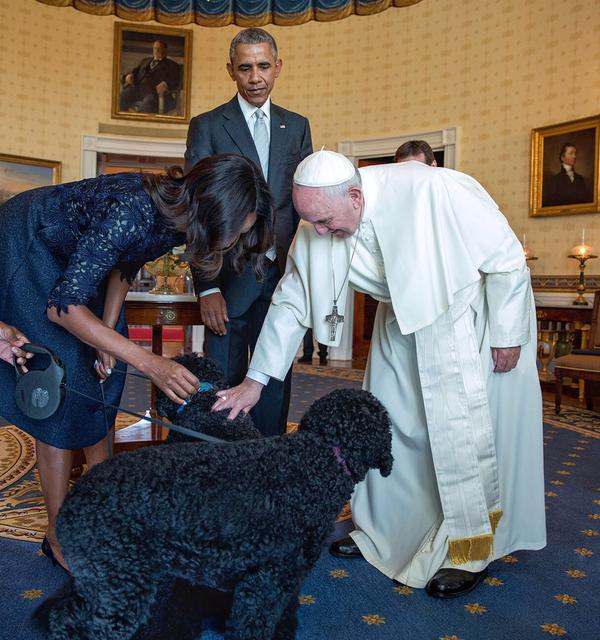 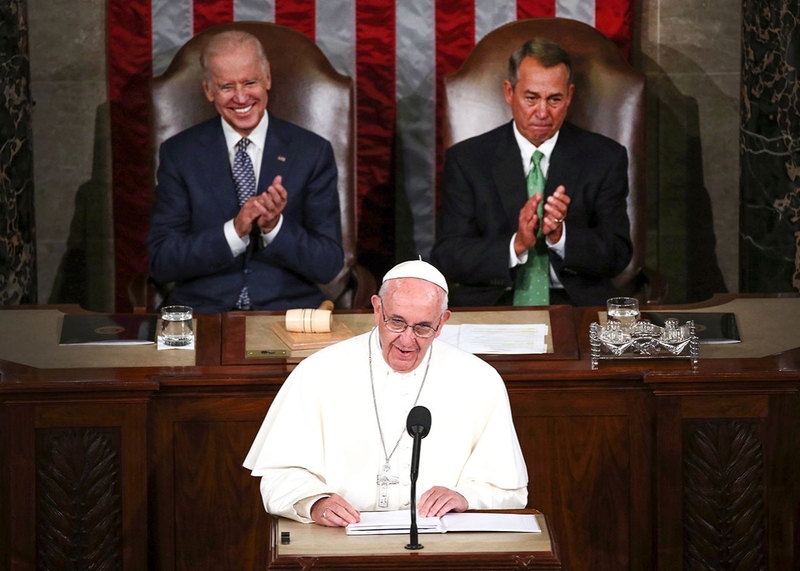 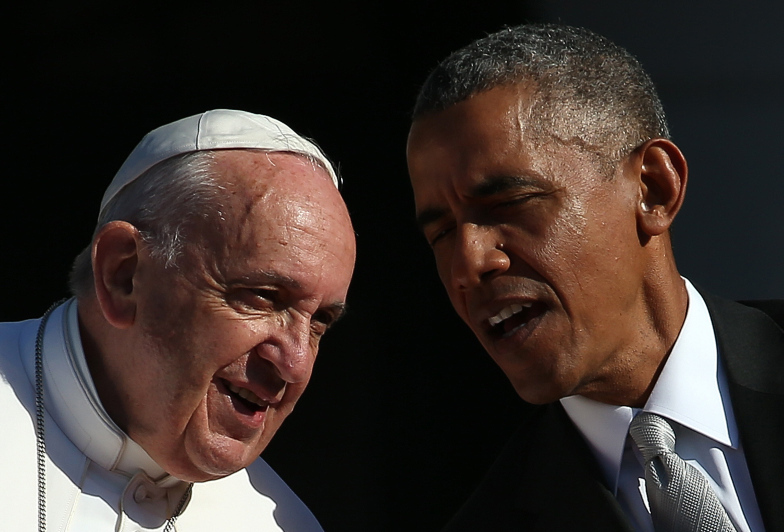 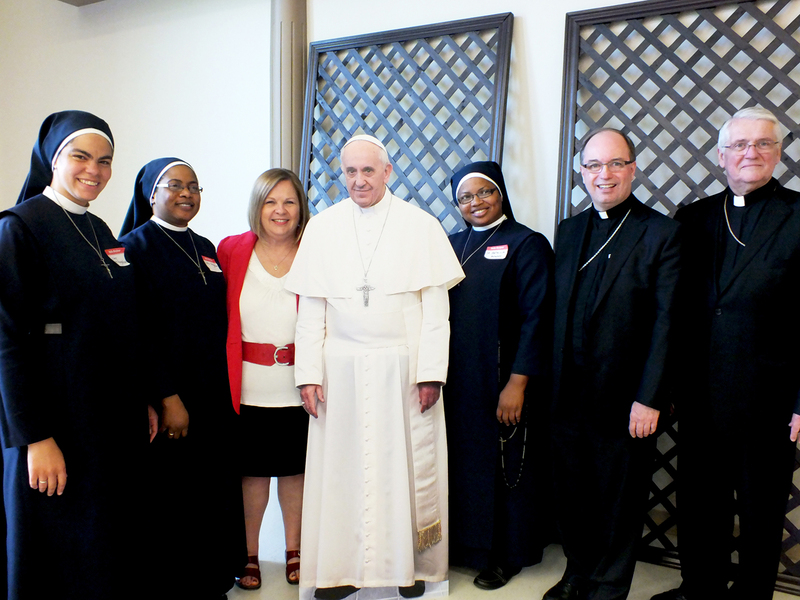 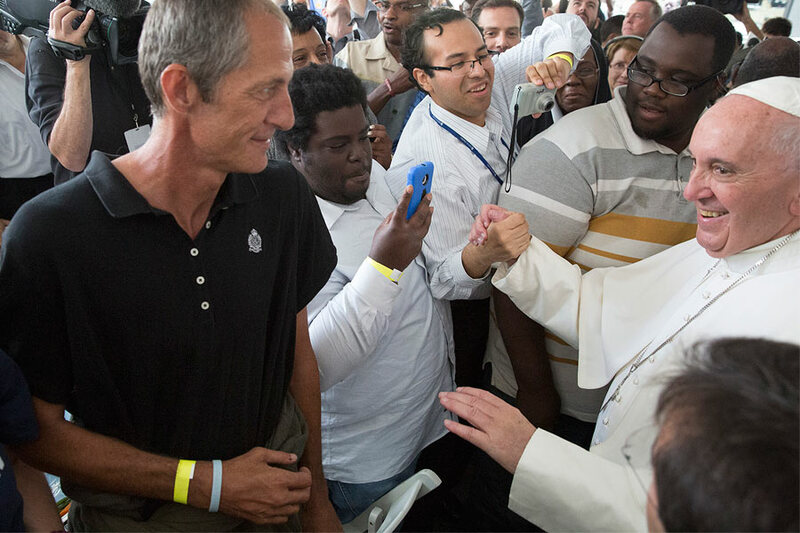 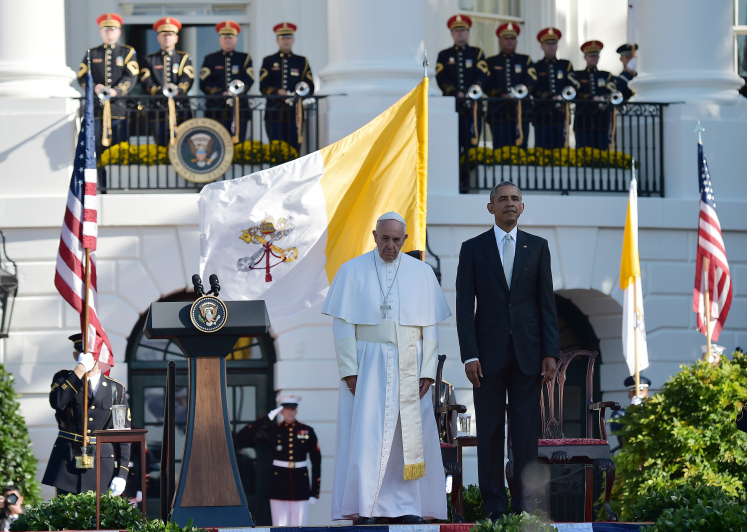 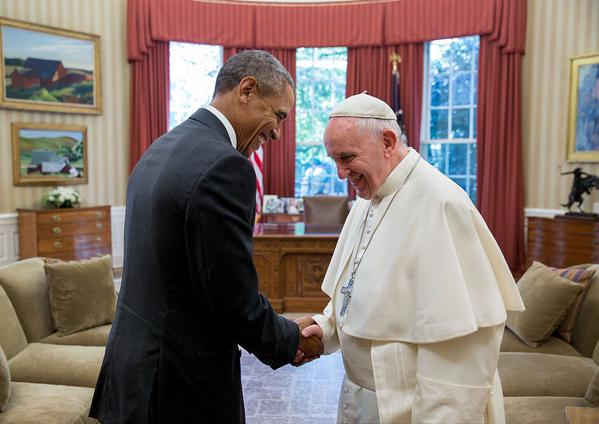 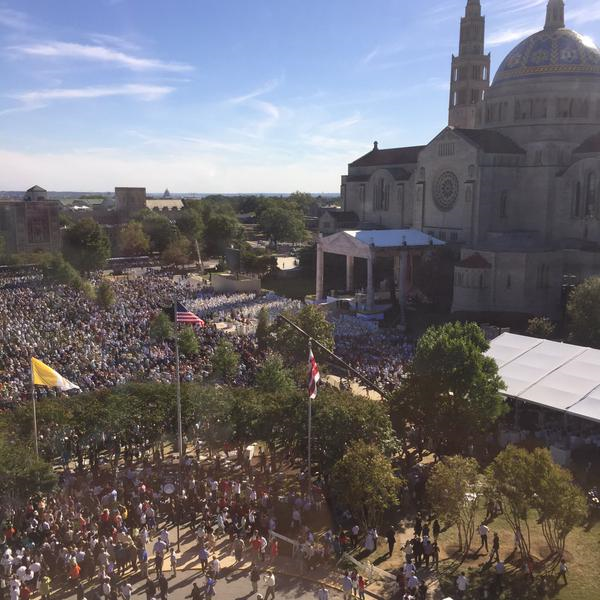 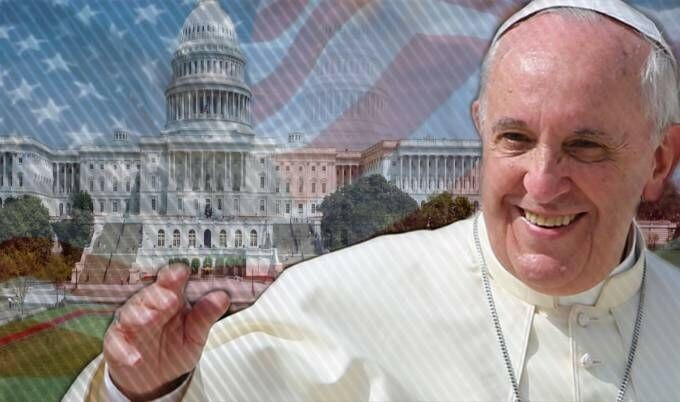 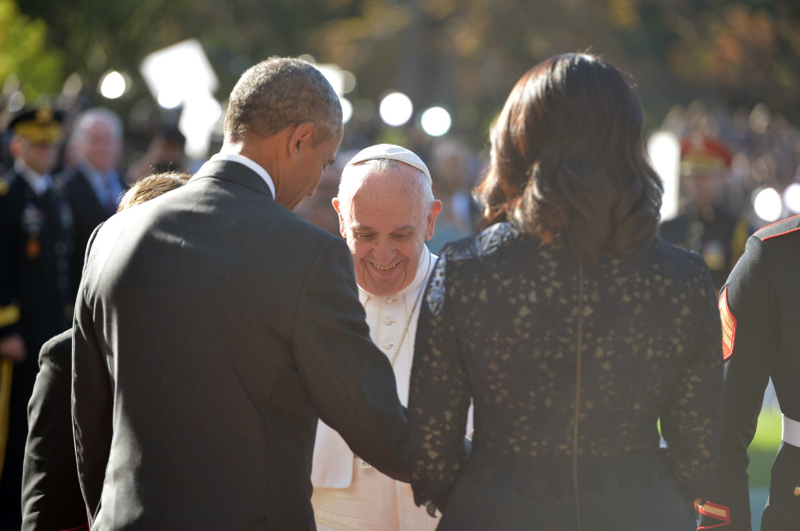 Pope Francis truly blessed not only the three US cities he visited, but the entire United States with his presence. 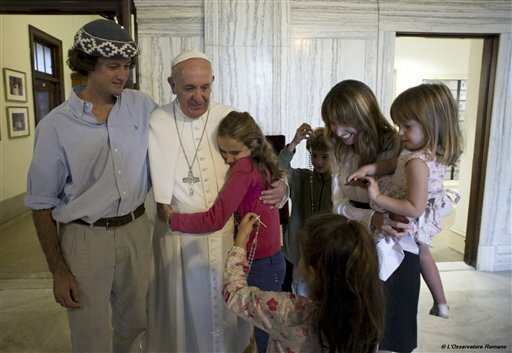 He is indeed, THE PEOPLE’S POPE.